Welcome to the Dartmoor Diaries! 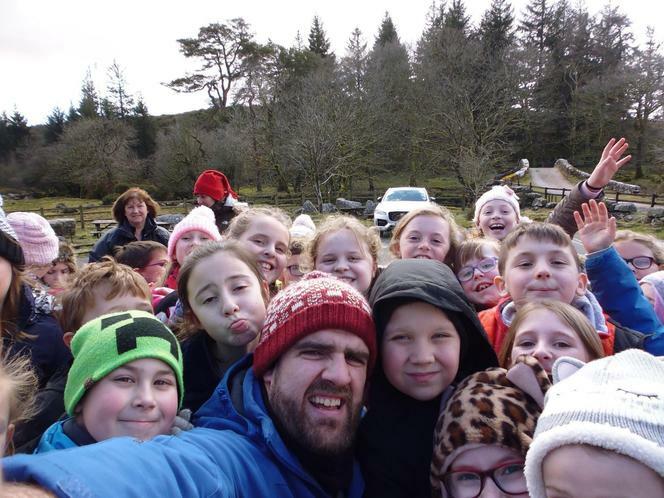 Visit each day to read about the adventures the children and staff have been having on Dartmoor. We hope to ba able to add some photos each day too. 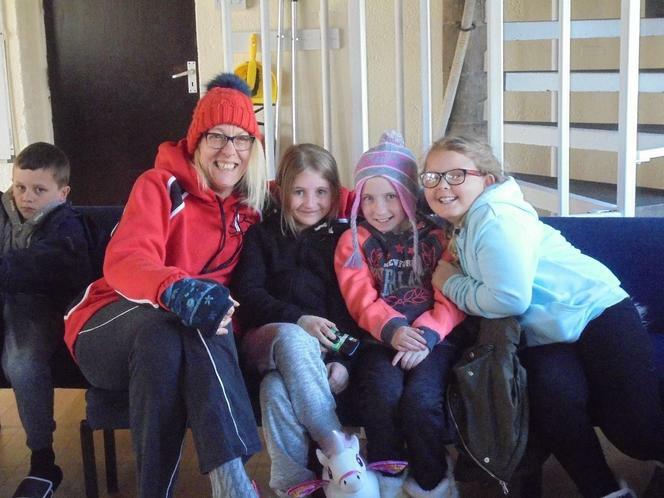 The group arrived at their accommodation in good time. They have settled into the rooms and taken in the breathtaking views that can be seen from the back of the property. 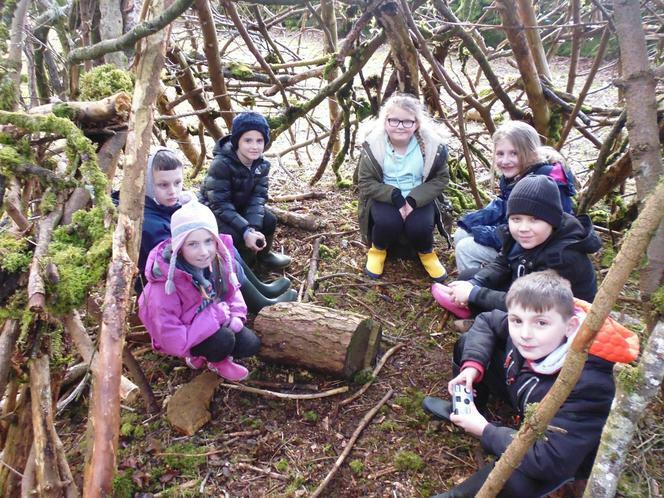 The children have been building some awesome shelters this afternoon and enjoying the fair weather. Hot chocolate and biscuits have been feasted upon before the group set off on an Easter Egg hunt! Wow! A change in the weather today - they do say Dartmoor has its own climate. 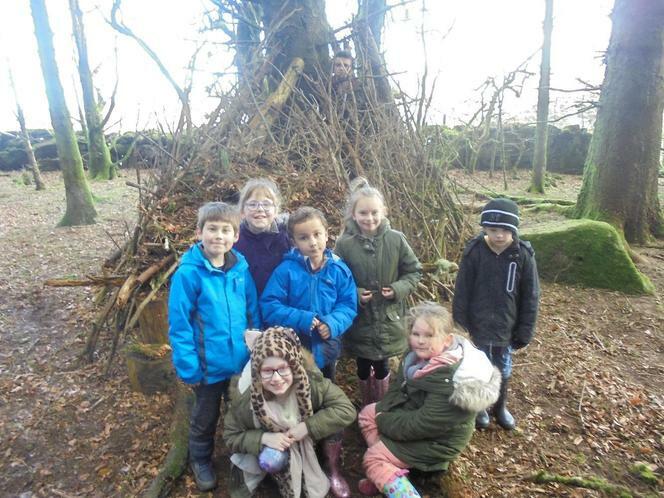 Year Four went for a (wet) walk today and a very kind farmer allowed them to take shelter in her barn, where lunch was enjoyed. The children got to meet Wanda, a prize winning cow! Thursday - When Mrs Radford arrived! Mrs Radford visited the children and staff this evening and was greeted with a warm welcome. Everyone was in top form and drying out nicely! All the children have been on their best behaviour ( a real credit to everyone) and had just polished off a dinner of sausages and burgers with chips followed by an ice cream dessert. They have needed the day with a Talent Show and we had two worthy winners! No doubt you will be all excited to see your children today when they return home from their little adventure. 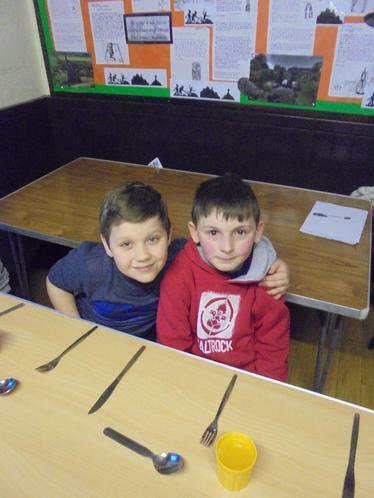 We have some lovely pictures emailed in today, which are posted below. 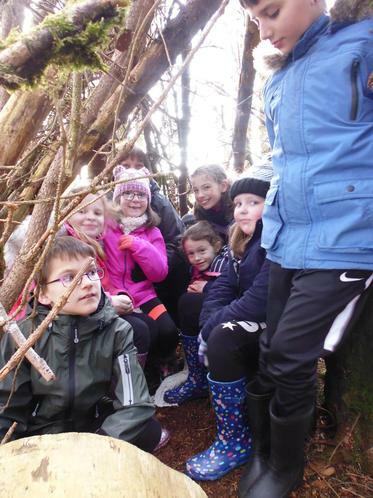 We hope you have enjoyed the little snapshots we have been able to post this week and we are sure, over the weekend, you will hear lots more about the adventures your children have enjoyed this week. 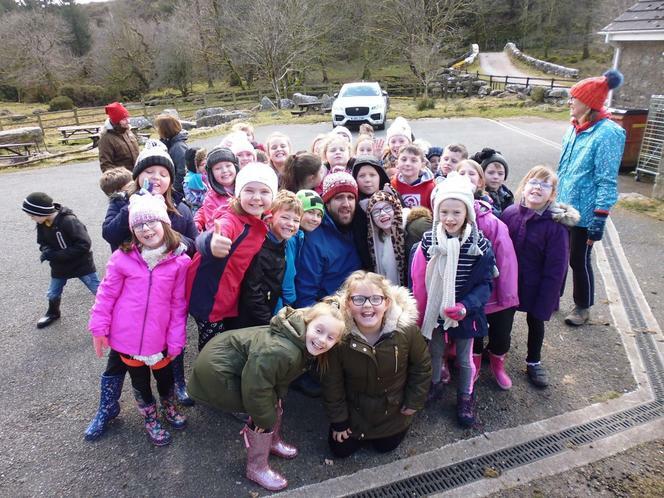 Our Dartmoor adventurers have returned safely to the school and are currently unloading their bags from the coach. They all look very happy and maybe a little bit tired. We look forward to hearing all their tales from the week.